Today Palladium price in rupees per Ounce. Today Palladium price in India is 3,117 rupees per gram. This calculator uses the current Palladium Price Calculator price for India only. Other prices for other countries, click here or for other cities, click here. 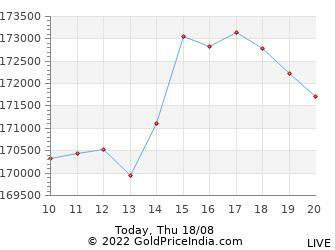 India Palladium Chart showing prices over the last 12 hours excluding weekends. 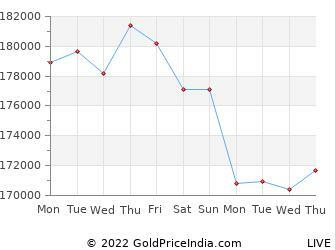 Last 10 days Palladium price in India given in rupees per ounce and per 10 grams.